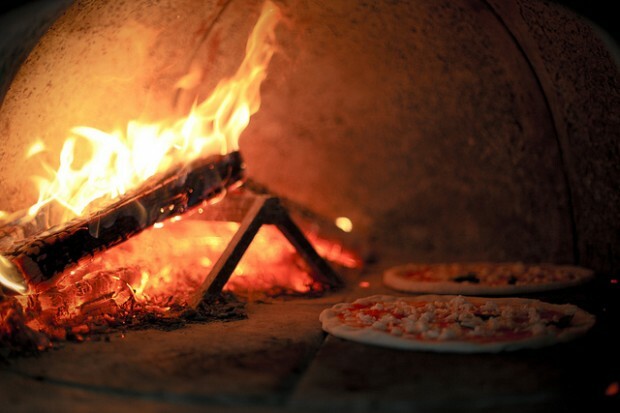 If you are thinking pizzas and a relaxed function at your own venue, then have a chat to us about our mobile woodfired pizzas. Yes, if you are planning a 21st, 40th, 70th or even a 100th birthday party, pizzas are a great option. We have even done engagement parties, celebrations and weddings – you name it! We provide platters, drink tubs, glasses, bins, a full outside kitchen and are self sufficient. Yes, no mess in your house! Our two staff look after all the details, leaving you to relax with your guests. Catering for up to 40 people will cost about $1,000. Contact us to discuss price and availability. For all enquiries – call Steampocket on 5222 8969 or shoot us an email.